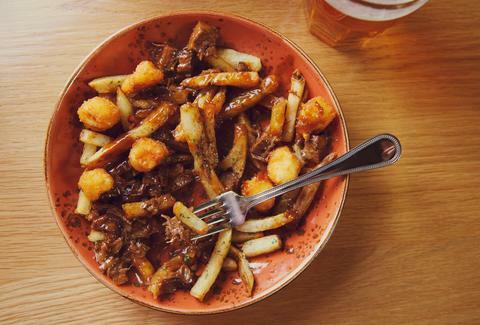 Poutine from Little Market Brasserie: This casual-American resto in the Gold Coast’s Talbott Hotel does a classic poutine (fries, cheese curds, and a thick blanket of gravy), but with one important addition: chunks of freaking short rib. 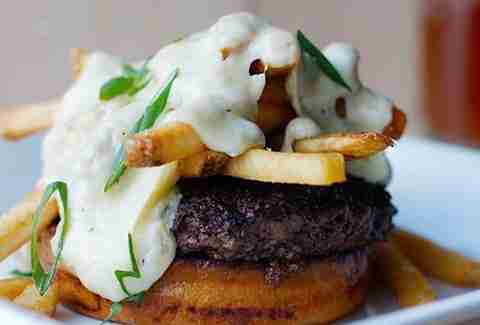 Poutine Burger from Spritz Burger: This open-facer includes fries, cheese curds, and sage country gravy, all ON TOP of SB’s signature, grass-fed beef patty. Wash it down with a Smokey Mountain Rickey spritz. Or don't. It's your life. 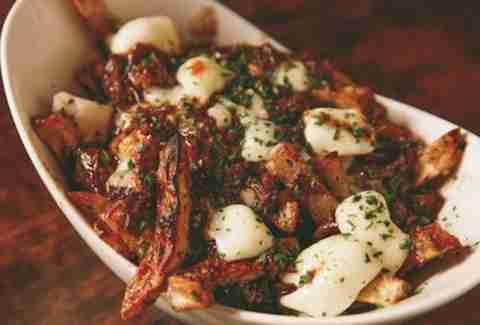 Braised Beef Cheek Poutine from Bottlefork: Look at that. LOOK AT IT. That's the poutine-age you can get at Bottlefork -- the latest concept from Rockit Ranch Productions. 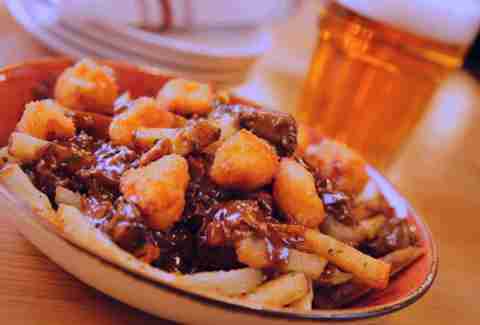 It's a braised beef cheek poutine with Wisconsin cheese curds, Kennebec fries, and pools of stick-to-your-ribs gravy. Cluster Buck Poutine from The Big Cheese Poutinerie: This everything-but-the-kitchen-sink poutinerie landed in Lakeview last month, and the masterfully named Cluster Buck is the early winner -- it takes North-of-the-border poutine and gives it an American cowboy twist with chicken, tangy barbecue sauce, and caramelized onions. 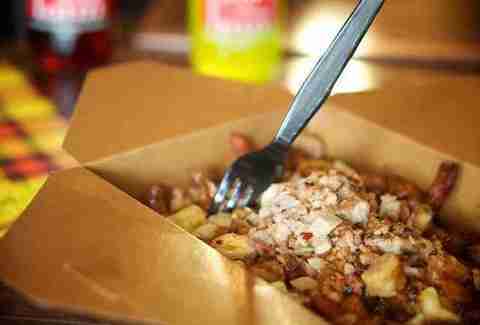 Breakfast Poutine from The Gage: When eggs Benny and smoked salmon just won’t cut it (which would never happen, but just go with it), cop a plate of The Gage’s alcohol-headache-healing breakfast poutine. 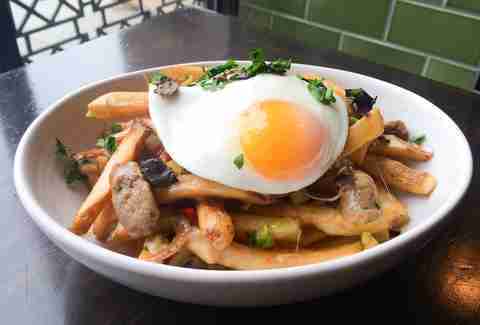 The dish comes with breakfast sausage, black truffle, fries, Smoke Box gravy, and a free-range, sunny-side-up egg.